Balancing academics, athletics, and social life is no easy feat. Student athletes certainly have a lot of on their schedule and often overlook studying abroad as it is seen as something unobtainable. The thoughts of, “My coach would not allow it” or “I would be missing spring workouts” often come to mind. 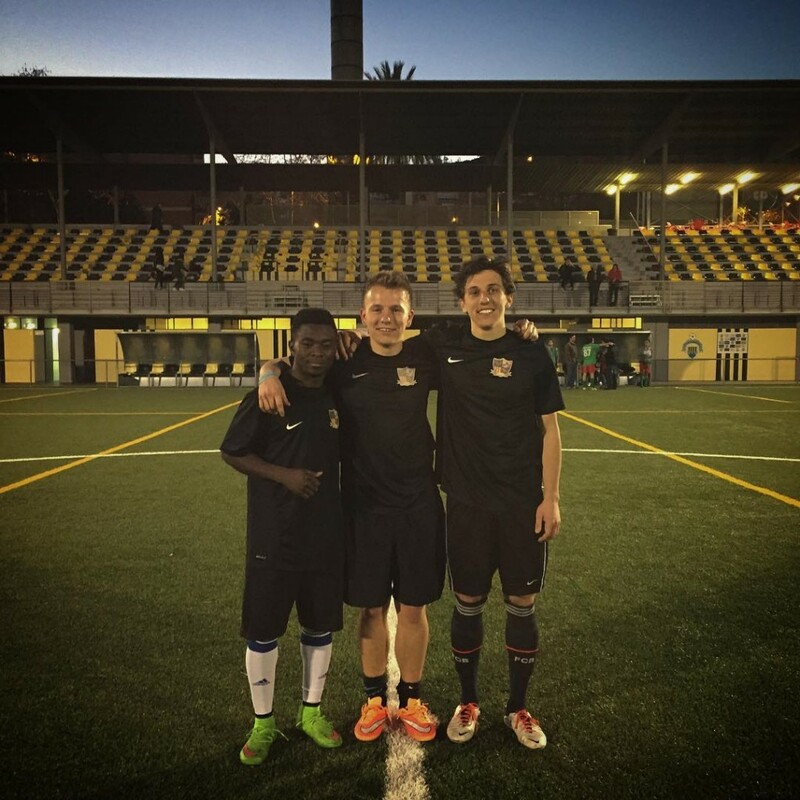 This blog is to share my real experiences as a student athlete abroad through highlighting three main points on why athletes should study abroad… Especially in Barcelona! You’re not alone. In my IES program in Barcelona, I have met countless student athletes going through the same journey as me. To illustrate, there are college athletes from Wofford College, Virginia Commonwealth, University of Redlands, St. Thomas, Connecticut College, Augsburg, the list goes on and on. Most of these student athletes, female and male, are soccer players. 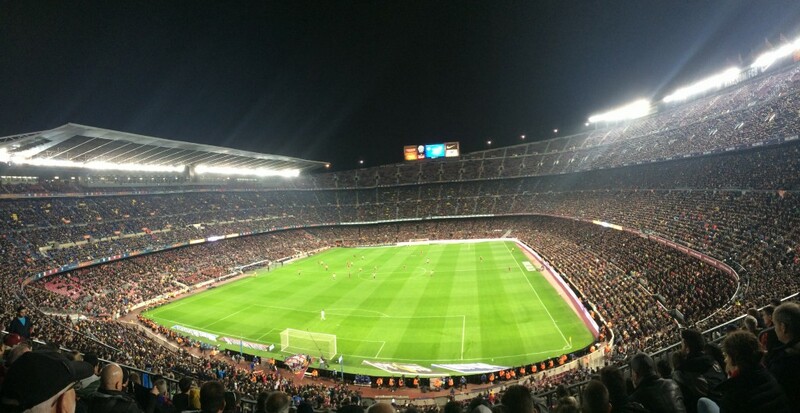 This mixes well with the city of Barcelona, which boasts a handful of leagues from professional to semi-professional, thus allowing every college athlete to not only watch the most elite players in the world, but also find a place to play and improve their craft. You are challenged in different ways than before. 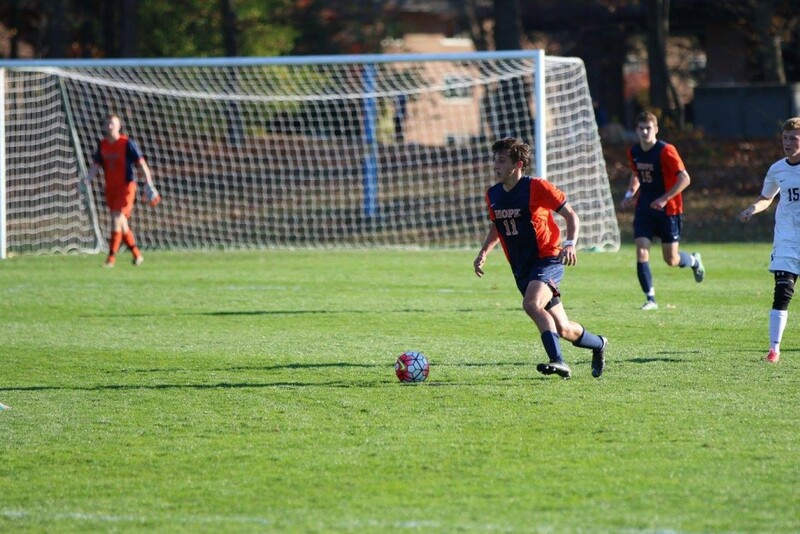 It is no secret that the college soccer game revolves around fitness and athleticism. In Barcelona, these attributes fill the background as skill and craft lead the way through the Spanish “tiki taka” style of play. This challenges student athletes to sharpen other tools of their game, such as technical and tactical abilities. When returning to the college game, this will help make you a more complete player. You can play outside, all year round. In my two months in Barcelona so far, it has rained three times for a total of approximately one hour. There is no snow or bad weather to stop you from training outdoors and on a full size field. Also with the sun out every single day, you will have a little extra energy in your step to get through your workouts… Especially during the February blues.. which do not even exist here! Pitch of 3rd tier side CF Montañesa, where we play our games. This photo was also taken in late February! These three points have been reiterated through my continuous experiences as a student athlete studying in Barcelona, Spain. I would not change this semester for the world and hope to inspire more student athletes to study abroad. It was the first time that I, personally, had left Spain for another European adventure within these months abroad. Many of my friends had left multiple times, but with there being so much to do and see in Spain, country hopping was not something I had much time for. Or money if I’m completely honest :). With that said, I thoroughly enjoyed my time exploring Rome and learning about the civilization that so much of our world, today gets its roots from. Rome is amazing. The architecture. The atmosphere. The language. The Food. Everything. This trip was something I had dreamed about since before coming abroad, and had planned, with 7 other friends, 2 and a half months in advance! We did so much. A few highlights include the Pantheon, Trevi Fountain (which is unfortunately under construction), the Spanish Steps, Colosseum, Vatican City Museum, Sistine Chapel, St. Peter’s Basilica, we saw the Pope, The Roman Forum and The Palentine. Not to mention the pizza, pasta, gelato and my personal favorite: cannolis. 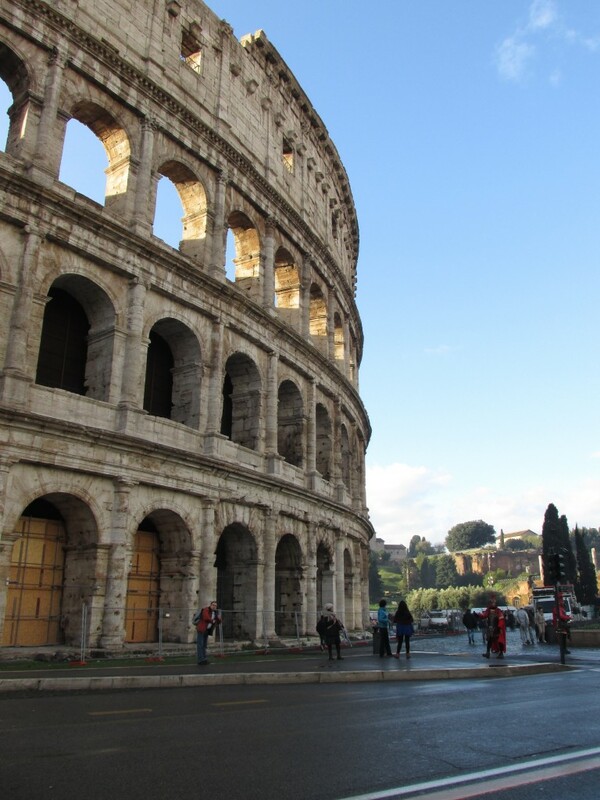 The Colosseum was less than a 10 minute walk from our hotel! 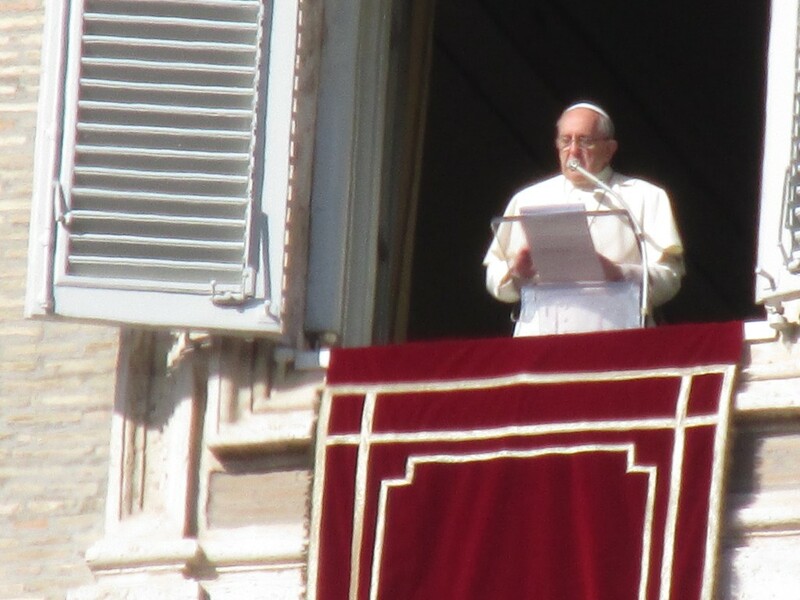 Pope Francis speaking to those in St. Peter’s Square. A quick break down by the river. 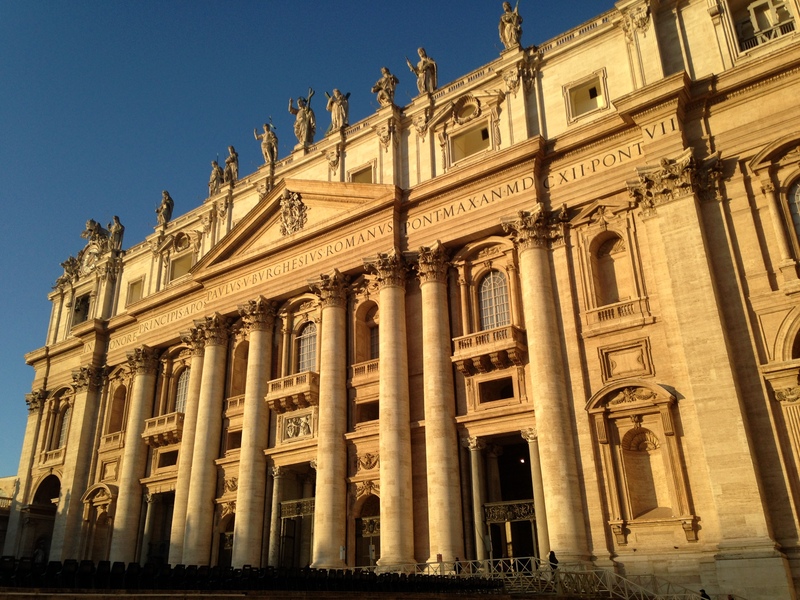 St. Peter’s Basilica, where we also attended Sunday mass. 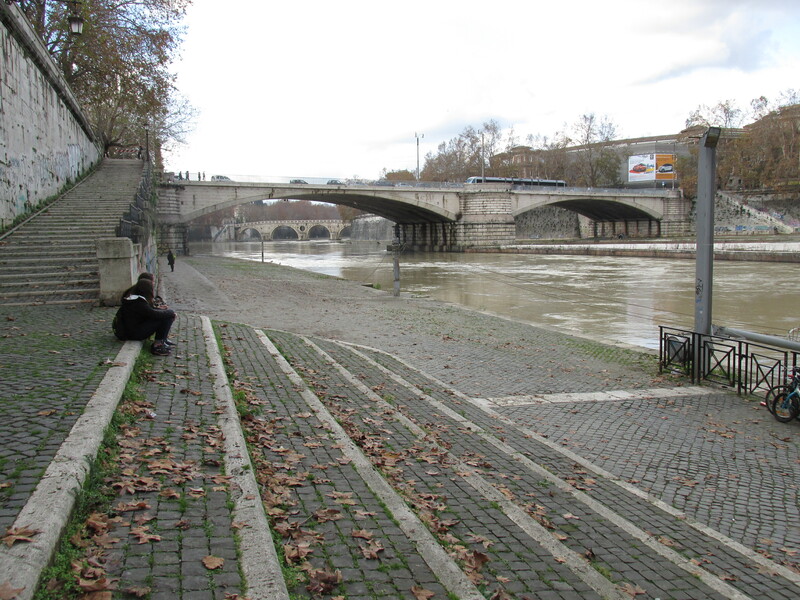 The rich history and excitement of the city was enough to make me want to stay for months! Obviously this wasn’t possible as the 3 day weekend came to a close and we hoped on the plane back to Alicante. With just over a week remaining in my abroad experience I’m struck with a million conflicting thoughts. Am I excited to come home? Do I want to stay? Answers: yes. I’m eager for the Holiday season and to spend time with family, as well as get back to Hope and enjoy the presence of wonderful friends and get back to a normal routine. Yet, I can’t fathom saying goodbye to all the wonderful people who I have met here and accept the fact that I won’t see the majority of them ever again. Crazy. And to think about packing. That I dread. Nonetheless, it’s time for that to all begin. My gratefulness for such an experience are never-ending. A few friends and I were just talking about how this abroad experience is something we’ve looked forward to for years, and then with the snap of a finger, it’s over. But I already know that the impact is greater than I could have ever imagined. And for that alone, I am forever thankful. 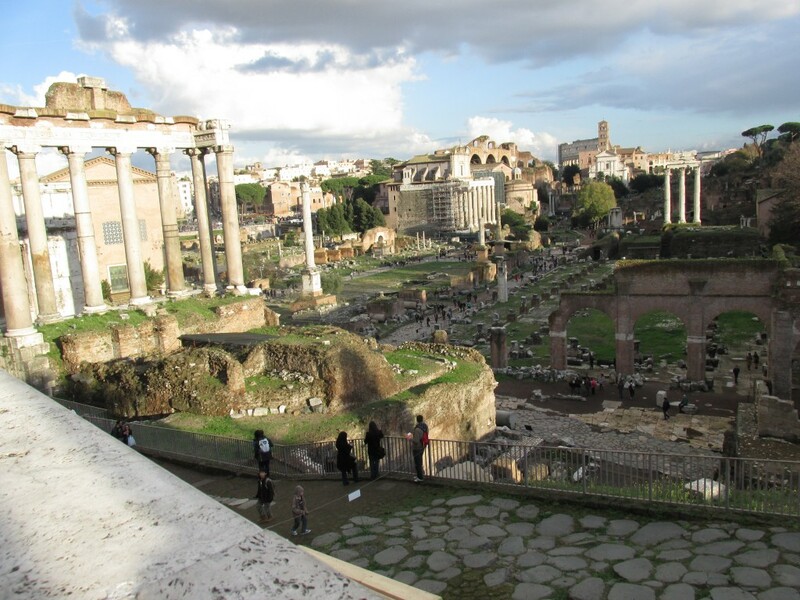 Posted on December 9, 2014 Author Terah RyanCategories Culture, TravelTags Adventure, CIEE, Rome, Spain, Students, Study Abroad, TravelLeave a comment on An Italian Weekend.